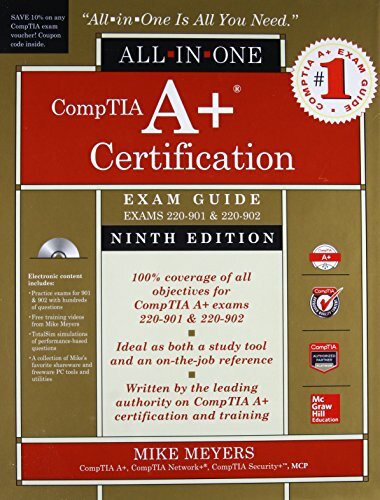 Today we will give you some best CompTIA A+ certification book. Hope these will helpful for you. 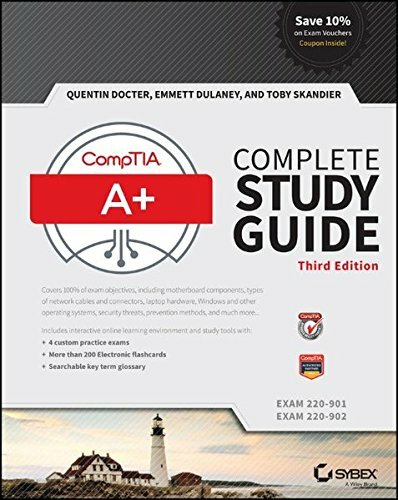 CompTIA A+ Certification All-in-One Exam Guide is the best selling book and essential to get CompTIA a + certification. Mike Meyers is the author of this book and he has introduced a unique way of breaking things down. For the first time, it is a very helpful book. You will get a CD which is updated to cover 100% of the exam objectives. There are hundreds of accurate practice exam questions and more than an hour of online video of the author. You will get a practical reference for IT support and technical personnel. 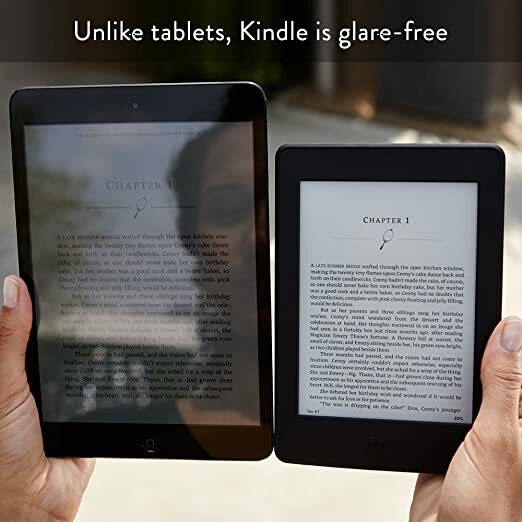 David L. Prowse is the author of this book. He is a computer network specialist, author, and technical trainer with 20 years experience. On this book, he provides coverage and practice questions for every exam topic, including Windows 8/8.1, new PC hardware, tablets, smartphones, OS X, Linux, cloud computing, and professional-level networking and security. You can also try on their online testing. You will get a DVD, where you will find ten exclusive Real World Scenario case studies. 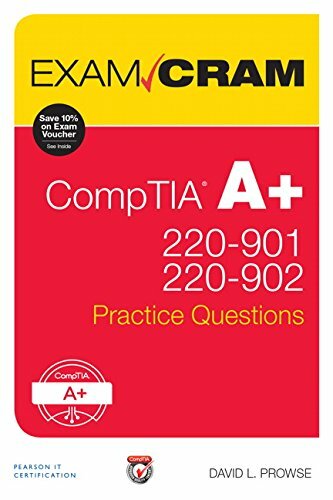 If you want to get good practice question you can also buy "CompTIA A+ 220-901 and 220-902 Practice Questions Exam Cram". You will get A+ study plan and 640 practice test questions. On every answer, you will get clear explanations. These are very helpful to pass A+ certification. A+ certification is the gateway to get into many IT careers and to expand the field of information technology. 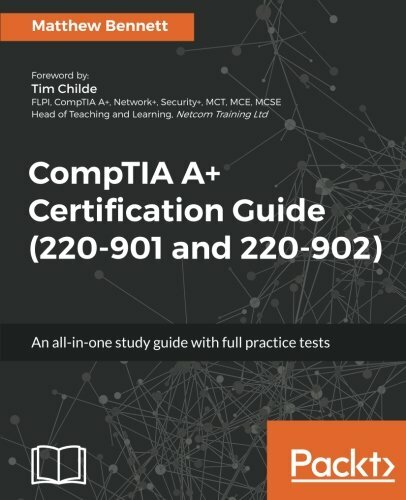 The CompTIA A+ Complete Study Guide gives you everything you need to ensure that you not only understand the basics of IT but that you can demonstrate your understanding effectively. It includes the latest best practices, Windows 8/8.1 and mobile OSes, and an emphasis on the practical skills required for the job. Clear and concise, this book and troubleshooting topics covered on the exam. 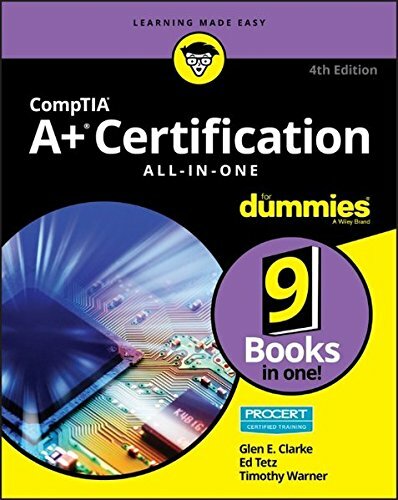 CompTIA A+ Certification All-in-One For Dummies is your complete solution for A+ exam preparation. It quickly and easily gets you up to speed on everything from networking and computer repair to troubleshooting, security, permissions, customer service—and everything in between. Included nice graphics to show the thousands of parts of the computer. Topics range from inside and outside the box, maintenance, troubleshooting, operating systems, system recovery, networking, and security. One of the challenges with certification preparation books is that they can be dull, boring, and dry. To some extent, that's just the nature of exam guides, but it's hard to learn when your mind keeps wandering. 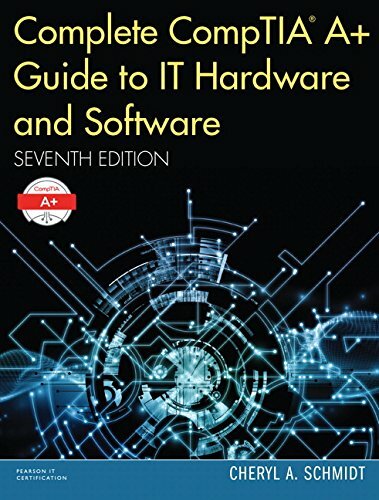 This book is helpful to become master of IT hardware and software installation, configuration, repair, maintenance, and troubleshooting. You can recap the key concepts in the chapter summary. 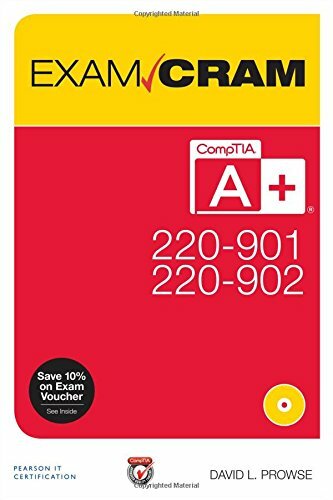 CompTIA A+ Practice Tests cover 100% of Exam 220-901 and Exam 220-902 objectives from hardware and networking to mobile devices and Windows operating systems. It helps candidates to prepare for taking exams, and the well-crafted questions and detailed answers. 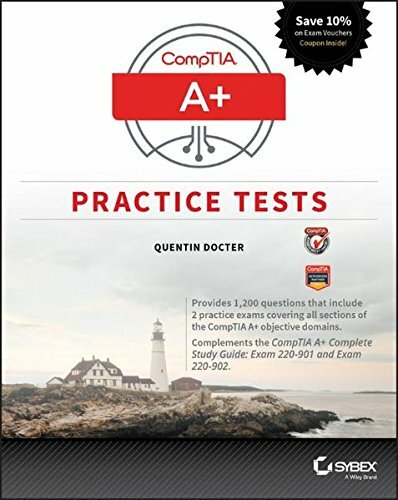 CompTIA A+ Practice Tests provides 9 unique practice tests totaling 1,020 questions that cover the nine CompTIA A+ objective domains you'll encounter in Exam 220-901 and Exam 220-902. Plus, the book includes two additional 90-question practice exams (180 questions total). Gain access to the Sybex interactive learning environment where you have access to all questions. CompTIA A+ Certification Guide book is divided into two modules. The first course covers content for the CompTIA A+ exam 220-901 and about the second covers additional content for the CompTIA A+ 220-901. In the first course, you will first begin with the understanding and installing CompTIA hardware required for CompTIA A+ 220-901. Then you will learn to use appropriate networking tools based on different scenarios. At the end, you will learn about different domains such as Mobile Devices, Hardware and Network Troubleshooting. In the second course, you will look at covering a range of mobile and network devices and platforms. Understanding and installing CompTIA hardware required for CompTIA A+ 220-901.